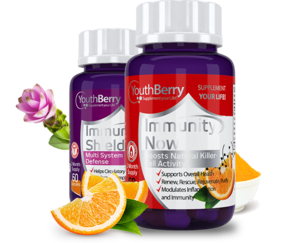 Strengthen and boost your natural defences with YouthBerry’s Immunity Health supplements. 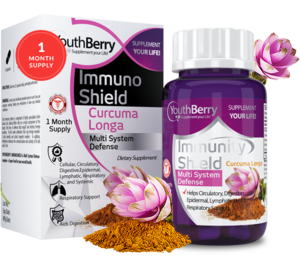 The Immunity Health supplements are formulated with natural herbs and antioxidants to maintain and strengthen immunity-enhancing properties. The ageing process leads us to a reduction of immune response capability, which in turn contributes to infections, inflammatory diseases, and cancer. 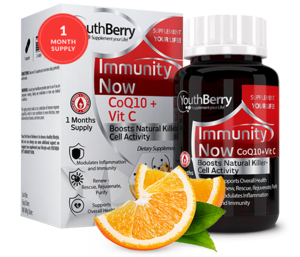 Your first line of defense is to choose a healthy lifestyle, but we can always use some additional support; we suggest you supplement your lifestyle with YouthBerry’s Immunity Now to renew, rejuvenate and purify your overall health.